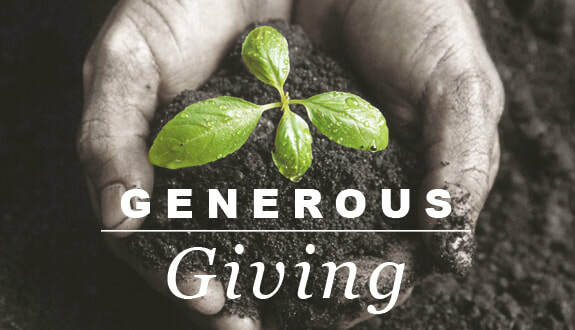 Our work in Frontiers is not-for-profit and we, as well as our work associates depend entirely upon the generous gifts and contributions of people interested in sharing their resources with those who build the Kingdom of God. Our mission is to do all we can to build His great Kingdom wherever we are, both here in the West, as well as among the unengaged Muslim peoples of the world. The only net result we have ever been able to show those who have so generously given over the years are the lives of those who have been transformed by virtue of our work and life, both here and abroad. In Colombia our principal focus has been to recruit, train and then do all we can to mobilize Colombian workers to become agents of transformation in similar fashion, especially among Muslim peoples in far-and-distant lands. We have been a part of the lives of some already sent out and continue to be in relationship with many others that we've come to know. There are many reasons we do this work; stay connected to this website and you'll learn why. We are now full swing into our sabbatical; actually it is three-quarters over as of this writing. We have found our time here in the United States to be both refreshing and restful, yet not completely without the surprise of being quite expensive. We have had to once again pay Uncle Sam a good portion of what was our normal monthly income and this development has challenged us (yes, for those living abroad you file a 'foreign exclusion' not to mention cost of living is much less). Thankfully we are still able to eat, with a good RV roof over our heads, but we have had to use credit for far more than we had expected... from repairs to the RV to simple day in, day out expenses. Honestly, we are not meeting our budgetary needs. Couple this with our continued $1,000.oo deficit that we started out our sabbatical year with we are now experiencing that unwanted choking monster called 'debt.' We will have to bring up our financial support income in order to continue the ministry God has called us to. Of course, none of this is up to us... our work has always been dependent upon the Lord to do that which He has allowed us to do to advance His Kingdom... preaching His Gospel, transforming His people, teaching his Kingdom principles, healing those He chooses to use us to heal. This is God's work not ours; we simply share the sentiments of the prophet who cried, "Here I am! send me" (Isaiah 6:8). We will continue in His work for as long as He chooses us to do this work. We will continue to make no appeal, only alerting those interested to our needs and leaving all else up to the Spirit to guide. Clic the Donate button b﻿elow to make Personal and/or Project contributions.